Those buildings are family quarters of ITBP personnel and their family and SO's Mess, the first long building (middle) right at the visible road. The above flats and the lower ones are separated by Rishikesh-Badrinath highway -you can even see half of the bus just on the power lines. There are two gates here. 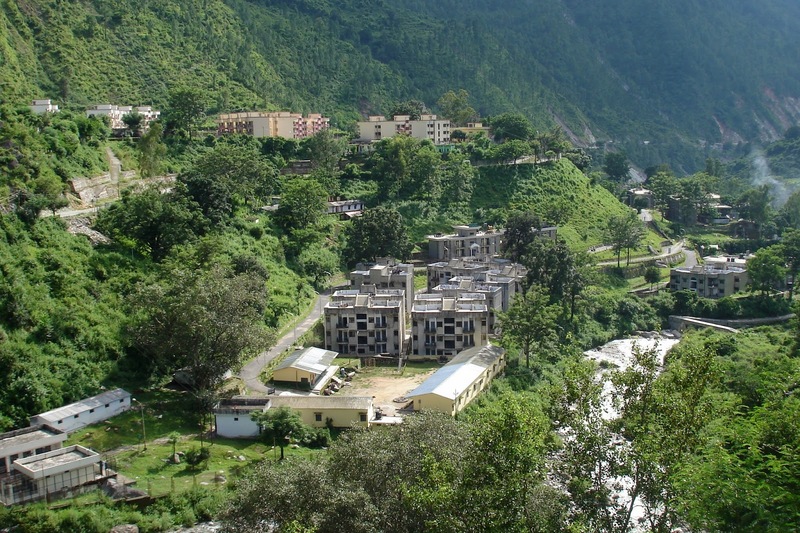 The first gate (from Rishikesh to Gauchar direction) goes directly through the Officers' Mess, Commandant's House and Type 4 family quarters where officers of assistant commandant rank are housed. The main gate, a few meters ahead the first gate -on the same direction, directs you to the ITBP Administrative Block on the left and to the Unit Hospital, SO's Mess, and Type 3-1 family quarters on the right, which is shown in this photograph. The last buildings are of Kendriya Vidyalaya School. There was a huge old tree at the middle of the school which the forest department got it cut, for what purpose, I can't say. All you can see in this picture are logs cut from the said tree. The river is almost always dry all throughout the year except during the rainy season. ITBP Gauchar, is the 8th Battalion of the ITBP Force Organization. It is situated around 2 kms. outside Gauchar. More pictures of ITBP will be posted here so keep visiting. My goal is to show to readers how places look like so that they'll get ideas of what and how they are before they decide to come permanently or temporarily.